Boil all ingredients, except cornmeal. 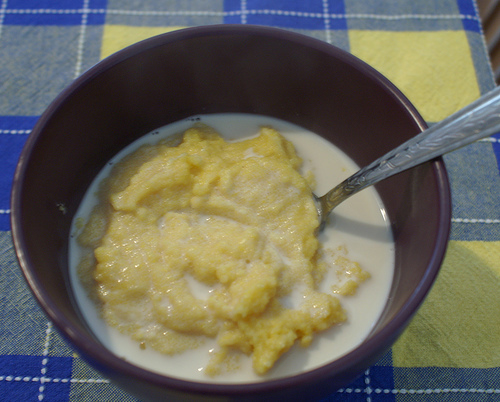 Remove from heat and gradually add cornmeal continually stirring. Cook over medium-low heat until it thickens. Serve warm. Add more sugar or milk if desired.